» Identify the nature of vacancies in terms of job description, remuneration, and organizational growth and fulfilling that vacancy through providing exactly suitable and sustainable professionals. » Identify the right person at right place at right time and thus fulfilling their career aspirations. » Executing regular services of catching suitable professionals through telephonic conversations. » Staying in tune with professionals already placed by us in order to further assist them for their career growth. » We understand client demand, so we can make you ready according to your dream job. » HR team ready to accept challenge and cope immediate basis. » Understanding the Business Vision, Work Culture and Values of the Client organization. » Have an overview of client's Business, Products and Services. » Understanding the role of Vacancy and its detailed Job Description. » Shortlist Profiles keeping in view the above points. » Have a thorough discussion with prospective candidates about the Job Profile, Career Prospects etc. before carrying ahead discussions to Clients. 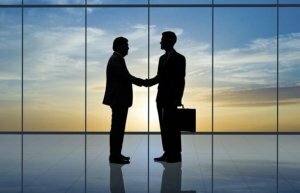 » Healthy professional relationship is of utmost importance to us. We Co-ordinate and communicate before and after the joining of all candidates, because all are valuable for us. » We are posting latest openings with brief job details. We acknowledge that each credentials will be kept confidential and will be processed only after the consent/confirmation by the candidate. » Our candidates exposed at various level. They are working Executive / Junior Level to Senior Level. 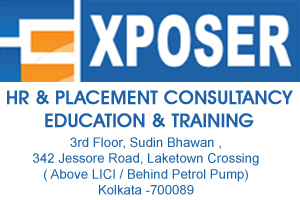 “EXPOSER, BEST HR SERVICE PROVIDER" choice of different companies.